How are you all doing this Monday? Still a little groggy from the weekend? Me too, and I didn't really even do much other than bury my nose in a book - funny how that works, isn't it?! Which translates to: daydream about my upcoming vacation! I am seriously SO thankful we have this trip planned. I don't think I've ever been more excited about a vacation in my life. To say it is much needed is definitely the understatement of the year. So as I am daydreaming about my vacation and starting to think about what I am going to pack (besides every sundress & bikini I own! ), I got to thinking about my favorite vacation (and warm weather in general) beauty products. 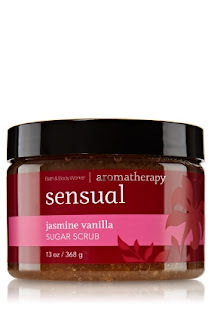 I love using sugar scrubs to exfoliate pre-self tanner, and this one is a goody! Moving along, if you've been a reader for a while, you know my love for the Jergen's Natural Glow line. I've been using the face lotion + SPF religiously all summer, and I'm going to be spreading the body lotion on after almost every shower for the next week, since I've been deprived of a lot of daylight lately! You better believe I bought the firming lotion this time around - anything for a little extra bikini confidence. If you haven't yet, you should really give these 2 precious gems a try. 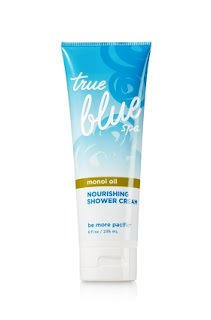 The body wash & lotion both have Manoi Oil in them, which is apparently an ingredient used during many tropical spa treatments. I don't know about that business, but this stuff smells like vacation. It has the most soothing coconutty scent to it, that instantly brings a smile to my face. It also leaves your skin feeling baby soft. These products are great to use after you've been out in the sun all day, or even after a long sweaty run. I've even purchased them in the dead of winter - to lift my spirits a little and remind me of warmer days. The next vacation beauty product I love is for getting that effortless, beach hair look. My hair has been stick straight all my life. It has never had any curl to it, which has its benefits (I can blow dry it and there's really no need for a straightener), but I've always been so secretly envious of those girls who can "scrunch" their hair into pretty curls. Interestingly enough, my hair has started to have a little "wave" to it over the past couple of years. 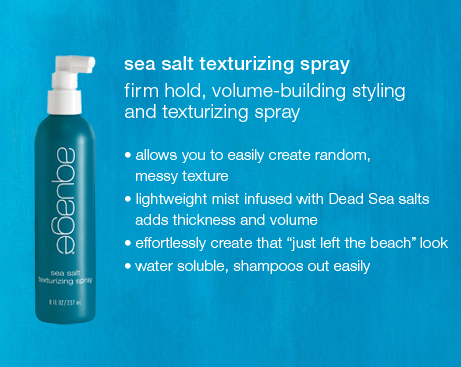 I'm going to invest in this Aquage Sea Salt Texturizing Spray (all the deets are above) for my upcoming trip, and give it a try after a long day at the beach! I love the idea of spraying this product all over my hair while it's damp, and letting it air dry for that beachy hair look. I'll take any excuse not to fry my hair with a hairdryer on occasion. This stuff is a little bit of a splurge, but I swear it will change your life (one pot also lasts FOREVER!). 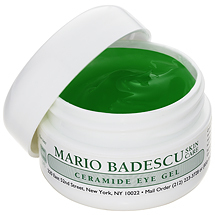 This soothing eye gel helps moisturize the very sensitive eye area and decrease puffiness around tired eyes. I try to keep my jar in the refrigerator for an extra-soothing, cooling effect. 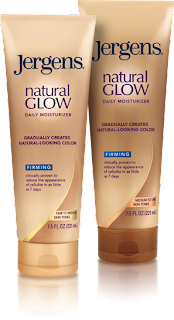 I also like this product because it's not super heavy or creamy. So those are my favorite vacation-esque products! As you think happy thoughts like Tinkerbell, take second to head on over and check out my absolute favorite scene from a childhood classic - Hook. Have a happy & healthy day, everyone! P.S. I'm not sure if you're a fan, but the new season of one of my favorite shows, Guiliana & Bill, starts tonight on Style Network! :) Woo hoo! Good luck with studying, don't zone out TOO MUCH thinking of vacation, you'll be there soon enough! Can we please live closer to eachother? Seriously! 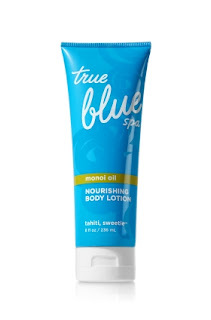 I love all of these products - especially the Tahiti, Sweetie lotion from true blue spa! Sam bought me a small bottle a few years ago and I've been hooked ever since! Have a great Monday study buddy! Melissa - I LOVE Jergens! 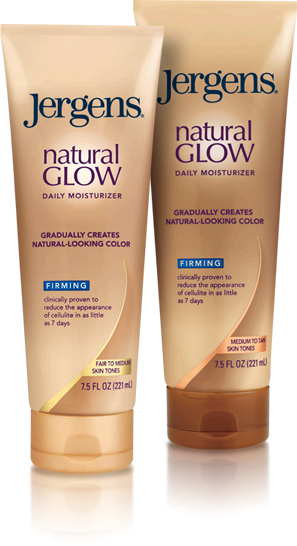 :) Best self-tanner I've ever used and I love that it's so affordable. Stefanie - I know!! :) I so wish we lived closer! Sounds like you might be in Chi a lot in the future hopefully tho! We will have to do lunch (and drinks!) sometimes! I'm gonna look into that Frederic Fekkai spray before I buy for my trip! This reminds me of how many more products I need to buy. I use lotion about once or twice a week, same with face cream stuff. Hmm... that's about it. Oh, and occasional hairspray. Geeze - lazy much? haha The texturizer looks neat though, and I'm interested in how it turns out! I love lotions that smell like a tropical vacation! Those are awesome :). I don't generally use anything on vacation that is different from what I normally use...my grad school budget doesn't let me haha. I've been searching for an eye cream\gel for the longest of times! I will definitely give the one you use a try! Thanks so much! Take me on vacation with you!! It is such a great product, Lisa! I've used a bunch of different one, but this is my fav so far. I will have to try that St. Ives lotion soon - anything for tone, I'm in!